This reading group guide for Blessed Are The Dead includes an introduction, discussion questions, and ideas for enhancing your book club. The suggested questions are intended to help your reading group find new and interesting angles and topics for your discussion. We hope that these ideas will enrich your conversation and increase your enjoyment of the book. When Amahle, the beautiful teenage daughter of a Zulu chief, is found murdered in the remote foothills of the Drakensberg Mountains, Detective Sergeant Emmanuel Cooper is called to investigate. Sensing that something terrible has happened, Emmanuel must navigate the various circles of Amahle’s complex world—interviewing everyone from her English aristocrat employers at Little Flint Farm, who favored her over their other servants, to her misogynist father, who was planning to marry her in exchange for a herd of cows, to the local police and medical offices that seem reluctant to offer any help whatsoever. In a community fraught with racism, sexism, and an ever-changing balance of power, finding Amahle’s killer may prove impossible—or even deadly. 1. How does Emmanuel’s military background help him with his detective work? How does his background provide an advantage that other detectives might not have? 2. 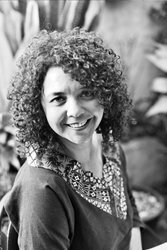 How does the author evoke the atmosphere of apartheid-era South Africa through her descriptions of characters and place? Did you feel you had a good sense of this time period after finishing the novel? 3. Due to segregation laws, Emmanuel and Shabalala must check into different hotels on their first night on the case. “Shabalala did not complain. . . . How many words and thoughts were sealed in the Zulu policeman’s mouth because all that was required in the presence of a majority of whites was a ‘Yes, ma’ baas,’ ‘No, ma’ baas’ and a ‘Thank you, ma’ baas’?” (page 73). How does Shabalala reconcile his forced submissiveness with the pursuit of justice inherent in his job? 4. When Emmanuel interviews Ella Reed, she scoffs at Amahle’s seemingly unrealistic dreams: “She wanted a house. A car. A business in one of the black townships. Like she could ever have those things” (page 96). Emmanuel replies that this was “empty talk” and reflects that “[t]hat was what most dreams came to, his own included. . . . They were vanished wishes, long gone” (page 97). Discuss the theme of unfulfilled dreams in the novel and how it applies to each character. How might “a life unlived” mean different things for different people in 1950s South Africa? 5. How did you react to the parts of the narrative where Emmanuel hears his former Scottish sergeant major’s voice in his head? Was this an effective technique in gaining additional insight into Emmanuel’s character? 6. Did you notice any hints or signs that foreshadowed the identity of Amahle’s killer? If so, what were they? Were you ultimately surprised by the killer’s identity? 7. 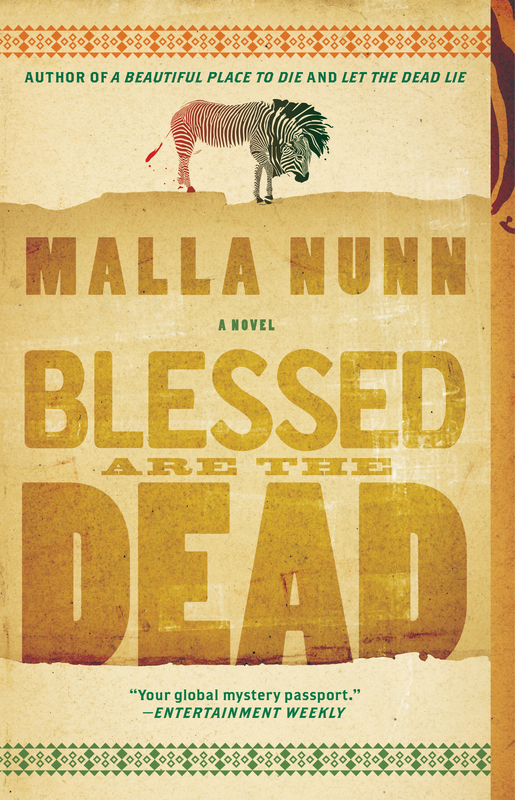 After finishing, does this novel’s title, Blessed Are the Dead, have a new meaning? What are some instances of literal and figurative “blessings of the dead” in this novel? 8. Discuss the role of women in the novel. In your response, consider Dr. Daglish’s relationship with her husband, Lana’s decision to stay with van Niekerk, Ella and Karin’s relationship, and Amahle’s means of getting what she wants. Are these women victims of their societies? Or do some of them make choices based on fear or desire for comfort? 9. How are Emmanuel, Shabalala, and Dr. Zweigman able to have such close friendships despite their differences? How do they connect with one another in ways that are universal and completely unrelated to race, religion, or class? 10. Discuss Gabriel Reed. Do you think he is actually insane, as so many around him believe? Might his affliction be called something else in present-day society? How is he in some ways one of the few characters who always speak the truth? 11. Emmanuel reflects on Dr. Daglish’s attitude toward race relations: “Like many of the English, Daglish played hide-and-seek with her own beliefs. The National Party at least said what they believed in: blacks and whites shall not, under pain of imprisonment, mix sweat and bodily fluids. They made no excuses, never blamed anyone else for their beliefs. People like Margaret Daglish couldn’t reconcile their discomfort at races mixing with their desire to appear enlightened” (page 162). Discuss this paragraph. Does Daglish’s behavior remind you of anything you have read or heard about in the news? In your own personal experience? How can hidden prejudices sometimes be more harmful than overt prejudices? 12. Although the South African community in this novel is heavily segregated, it’s also quite diverse. While the various groups of people may not mix heavily, they do live side by side. For example, Amahle was the daughter of a chief, yet she had no power within her family; at the Reed family farm she was a servant, yet she received special treatment compared to her coworkers. What did you think about this? What does this say about the nature of race and class in general? 13. Discuss Emmanuel’s dream at the end of the novel and his decision to visit Davida Ellis. How does this twist shed new light on Emmanuel’s character? What does Emmanuel’s decision say about the nature of dreams, both literal and figurative? How does this contradict Emmanuel’s earlier feelings about dreams? 14. Have you read the other books in Malla Nunn’s series? If so, how does this one compare? How has Emmanuel evolved a character? 15. How familiar are you with South African history? Did reading Blessed Are the Dead spark an interest in you to learn more? 1. To learn more about South African history through fiction, consider reading Skinner’s Drift, by Lisa Fugard; Cry, the Beloved Country, by Alan Paton; or works by J. M. Coetzee, Nadine Gordimer, or Bryce Courtenay for your next book club pick. For a nonfiction title about South African history, consider A History of South Africa, by Leonard Thompson; Nelson Mandela’s autobiography, Long Walk to Freedom; or Kaffir Boy: An Autobiography—The True Story of a Black Youth’s Coming of Age in Apartheid South Africa, by Mark Mathabane. 2. In the spirit of the diverse cultures depicted in Blessed Are the Dead, ask each book club member to investigate a different type of cuisine. Each member can prepare a dish or snack and present what they’ve learned to the rest of the group at your next meeting. To get started on finding recipes, visit allrecipes.com/recipes/world-cuisine. 3. Amahle was a member of the Zulu tribe. Have each member of your group learn how to say one conversational phrase in Zulu. Learn more about the Zulu language and how to pronounce key words at wikitravel.org/en/Zulu_phrasebook.